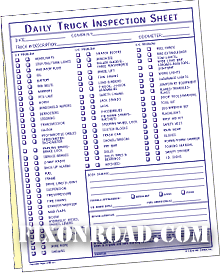 FixonRoad.com™ is proud to announce that The Work Truck Show is coming to Indianapolis Indiana from March 8-10, 2011. 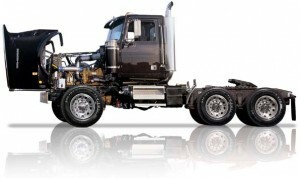 The 2011 National Truck Equipment Association Work Truck Show is North America’s largest commercial truck convention. Thousands of vocational truck companies, government and private truck fleet managers and truck buyers will meet with hundreds of truck manufacturers, truck distributors and truck dealers to learn about the newest truck products. The Work Truck Show features over 500,000 square footage of vocational trucks, truck parts and equipment. The latest truck parts and truck tech support will be available from over 500 truck industry exhibitors. There will be truck vendors and exhibitors from such areas in the trucking industry as Truck Chassis, Truck Bodies & Truck Parts and Equipment, Truck Cranes & Aerial Devices, Truck Snow & Ice Control Equipment, Truck Components, Parts and much more. There will be World-Class Truck Education and information. There will be Truck Fleet Managers Training Sessions, Green Truck Summit on trucking technology methods that are environmentally friendly and much more. There will be plenty of valuable information available for truck industry professionals and truck industry consumers in the a variety of trucking industries including Truck Repair and Road Service providers, Mobile Repair Service, Truck Repair Towing, Mobile Trailer Service, Trailer Repair, Truck Stops with Repair, Mobile Tire Service, Truck Tire Sales and Tire Service, Mobile Bus Service, Bus Repair, Truck Air Conditioning, Mobile RV Service, RV Repairs and Service , Mobile Bus Service, Bus Repair, Truck Glass Repair, Mobile Refrigeration Service, Reefer Repair and Service, Liftgates, Mobile Hydraulics Service, Truck Body Shops, Truck Parts, Load Shifts and Transfers, Truck Welding Frame, Truck Alignment and Truck Suspension.